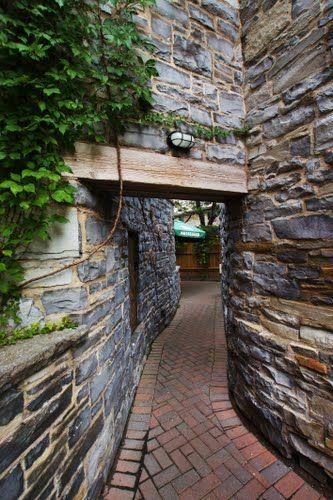 An alley in Kingston, Ontario.Kingston, Ontario is a Canadian city located in Eastern Ontario where the St. Lawrence River flows out of Lake Ontario. Originally a First Nations settlement, growing European exploration in the 17th Century made it an important trading post. In order to control the fur trade, French explorer LaSalle founded Fort Frontenac in 1673. Located midway between Toronto and Montreal, Kingston was named the first capital of the Province of Canada.